Performance to moving averages continued to weaken last week. 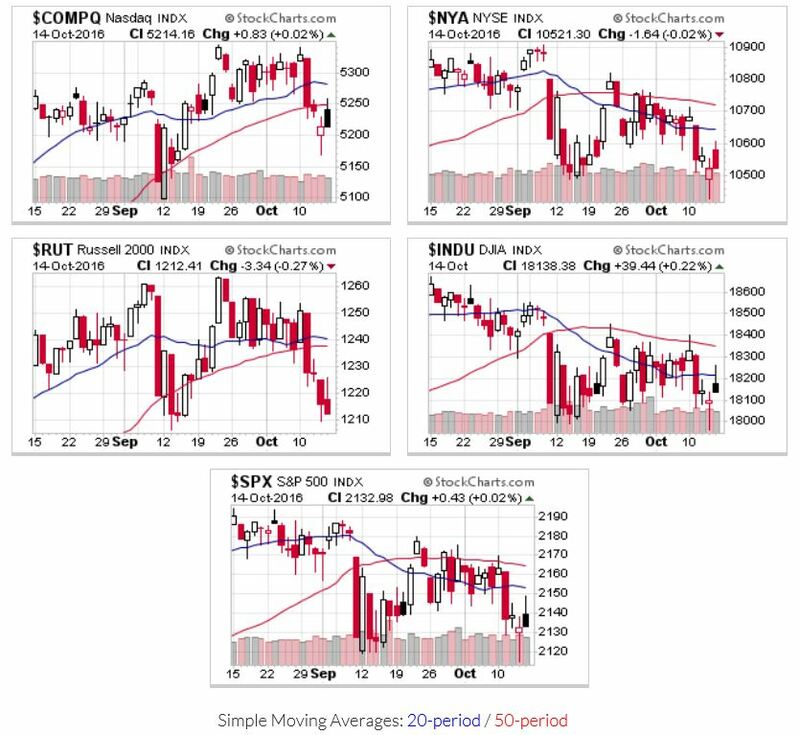 All the indexes closed below their 20 and 50 day moving averages. They all remain extended from their respective 200 day moving averages, so a change in outlook will still take some time. No change based on last week’s price and volume performance; uptrend remains in place but institutional selling remains on the high side. Counts on the S&P, NYSE, Nasdaq, and Dow Jones Industrials are unchanged (5,5,4,7 respectively). OEW indicates the intermediate downtrend may have ended on Friday. That said, the sideways price action over the past two months could act as resistance, which would create some pretty choppy trading action over the new few weeks.